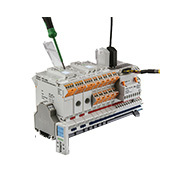 WAGO, the pioneer of CAGE CLAMP® spring pressure connection technology, offer an extensive range of automation solutions such as the fieldbus independent WAGO-I/O-SYSTEM, interconnect and interface technology. WAGO patented CAGE CLAMP® spring pressure termination technology reduces wiring time by up to 50%, while delivering a reliable, maintenance free connection. 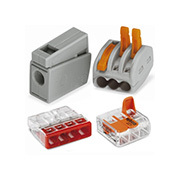 X-COM® and X-COM® S, as well as X-COM® S MINI pluggable rail-mount terminal blocks are the modular system for time- and cost-saving system wiring. 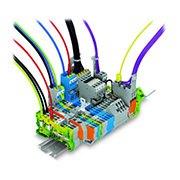 WAGO has the right connector whether it is for terminating solid conductors with one another or solid, stranded and fine-stranded conductors. 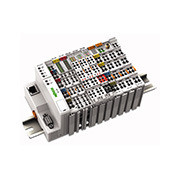 The WAGO-I/O-SYSTEM is a flexible fieldbus-independent solution for decentralized automation tasks. 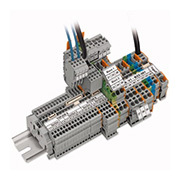 WAGO interface modules offer various designs, such as pluggable function and interface modules. Clayton Controls is a WAGO distributor in California. We offer technical support to help our customers solve their applications.